You are here: Home / News / We Know the Face of Terrorism. We Know the Face of Terrorism. Black Americans know what the face of terrorism looks like. We have lived with that face for as long as we have been in this country. It is fair to say that every white American is not a terrorist, or a racist. 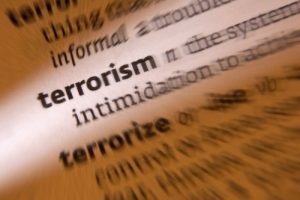 However, many of them live in denial when it comes time to discuss the subject of terrorism. Its so much easier to view a terrorist as a Middle Eastern of the Muslim faith. Its easier to believe that black men are “super predators” with the ability to be terrorists. It is easy to deflect from the subject of terrorism by discussion “black on black crime” when it is clear people are harmed in large within their own communities. White on white crime is not a subject white America doesn’t want to discuss at all. No one seems to be more human than a white male. Regardless of the offense committed the media will remind all of us that they are human, and something went terribly wrong for them to commit heinous acts. It seems, as of late, that our country and the rest of the world is coming to understand what we already know. The face of terrorism isn’t merely black or brown…it’s the face of a white male. Statistically white men commit more mass murders in the United States than any other group of people. Though this is a proven fact the deflection is real because to accept this fact is to accept that black men are not the super predators the establishment would like us to believe. To accept this would mean acknowledging that people who practice the Muslim faith are not the biggest threats in this country. Many people live in fear of the many white supremist groups in this country. The fear is heightened when those in authority don’t openly denounce them and their violence. The terrorism isn’t just violent it is also systemic, but when this is mention we are often told we are “playing the race card” or being racist. Yet, when we think of mass murder, the assailant is often a white male and though their crimes are heinous they are still considered human. They aren’t monsters, evil, nor terrorists…there is always a backstory as to why they decided to kill many people at one time. In this area mental health is often used as a way to justify the crimes committed. When black America thinks of terrorism, we don’t just remember 9/11, nor the mass shooting at schools and public places. We think of slavery, beatings, torture, inhumane medical experimentation, lynching, segregation, Jim Crow, police shootings, injustice in the court systems, mass incarceration, and many other acts that can cause a people to live in a state of terror. Malcolm X was correct when he acknowledges seeing the “American nightmare”. All white men are not terrorists, but its time they acknowledge that many of their own have terrorized groups of people violently, and systemically. They have also terrorized their own people. Some have had a hand in terror in many parts of the world. In order for there to be a stop to this terror it must be acknowledge, and it can’t just come from the communities that are terrorized. The outcry must come from white men of standing, and white women. If they expect black people to address the violence in our community, they must address the terror that some of their own have committed in this country and throughout the world. People of color can not be the only groups held accountable for their actions. Great power requires accountability, but our people know that is not what seems to happen. We know all too well what terror looks like in our community, schools, in our places of worship, and even in our homes. We know what it means to have your blood spilt and not receive the mourning and human care you should. Our hearts go out to every group of people that are forced to experience the terror that comes with simply existing due to race, nationality, religion, or sexual orientation. Black Americans tend to know its not so much an issue of rights as it is of humanity. It’s time white America dress its terrorist and stand with the rest of us that enough is enough. Stand with us to protect the humanity of all humans from those that would choose to terrorize our country men and women. It’s very uncomfortable but it needs to happen.